This attractive, high quality site, ideal for families with young children, is in a rural setting and well situated for exploring the less well known eastern part of the Loire Valley. Two lakes (one for boating, one for fishing) and a pool complex have been attractively landscaped in 18 hectares of former farmland, blending old and new with natural wooded areas and more open grassland with rural views. There are 245 large, level grass pitches with 120 for touring units. All have at least 10A electricity, 15 have water, waste water and 16A electricity, and some 30 have hardstanding. Eight have individual en-suite sanitary units beside the pitch. Attractively converted former farm buildings house a bar with a pleasant terrace and an excellent restaurant with a covered terrace overlooking a small lake. There is an impressive range of leisure facilities including an indoor pool with Jacuzzi and an outdoor pool with toboggans, a wellness suite with hot tub and sauna, and a delightful and imaginative heated indoor water play area for children. A daily or weekly family club card can be purchased (€5/day) to make use of any of the charged activities (tennis, fishing, canoeing, pétanque, minigolf, table tennis). 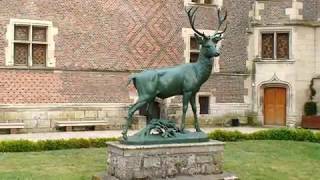 Excursions are organised to famous châteaux and vineyards, plus several riverboat trips. Two heated toilet blocks (effectively unisex, one open in high season only) have some washbasins in cubicles, controllable showers, an en-suite unit for disabled visitors and a baby room. Washing machines and dryers. Minimart, bar, takeaway and restaurant (13/4-8/9). Heated outdoor pool (1/5-1/9). Heated indoor pool and children’s pool (all season). Wellness centre with sauna, hot tub, Shiatsu massage and beauty treatments. Fitness and jacuzzi rooms. Beach on lake. Games area. Canoeing and fishing. Tennis. Minigolf. Volleyball. Pétanque. Play area with trampoline. Kids’ club, sports tournaments, excursions and activities, aquagym, archery (July/Aug). Bicycle hire. Chalets/mobile homes for hire. WiFi (free in bar). 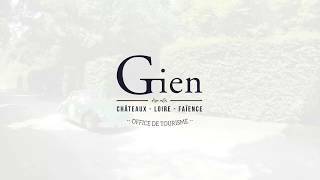 Gien is 60 km. southeast of Orléans. Site is 7 km. south of Gien. Leave A77 autoroute at exit 19 and take D940 (Bourges) to bypass Gien. Continue on D940 for 5 km. When you see the sign post for La Ruellée, turn left and keep on going on the narrow road for 3 km. Gien, mes prochaines vacances ! Divertissez-vous dans le Giennois !